You knew it was coming right? 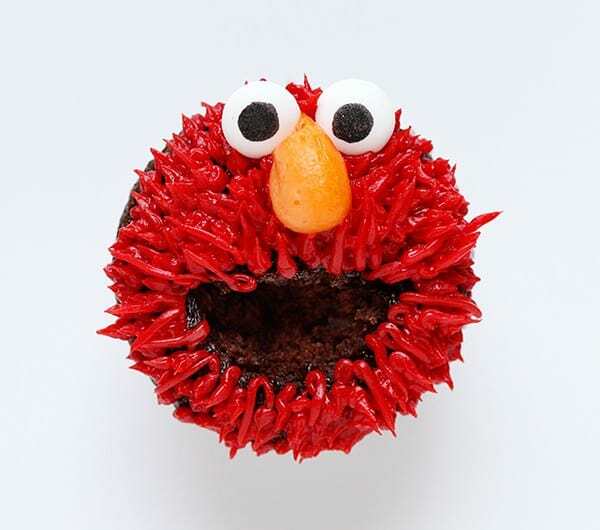 After tackling Cookie Monster and Oscar the Grouch I just had to try Elmo. And not as hard as I had imagined. The nose is what was throwing me… I didn’t know how I was going to make it perfect! But a #12 tip and a little orange buttercream and it was easy peasy. 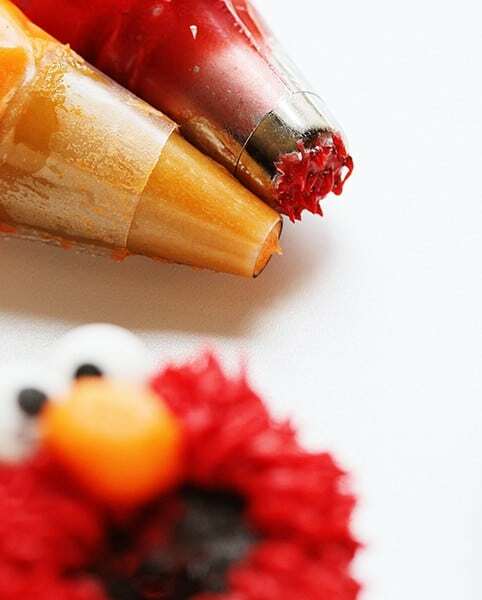 The main difference between Elmo and Cookie Monster & Oscar was the fur. Their fur is much more wild and messy. Elmo’s seems to me a little “tamer” and softer. So when piping him I tried to get it to “lay” down like a softer fur would. Oh goodness me, better just check out the video! 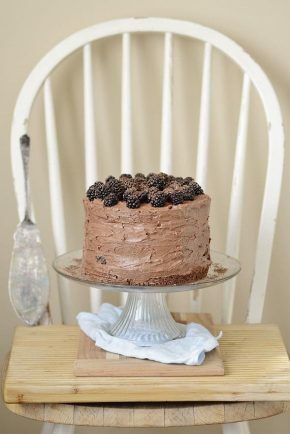 I used this Chocolate Cake recipe. I made it into cuppies (very small cupcakes). 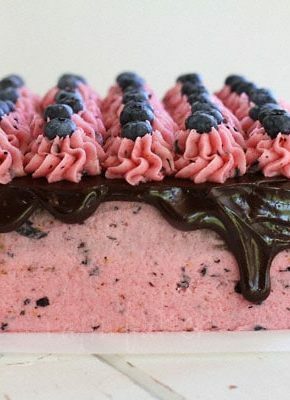 I tinted this Crusting Buttercream recipe red and orange. The eyes are hand drawn using Bakerella’s new product line. I used a grass tip for the fur and a #12 for the nose. 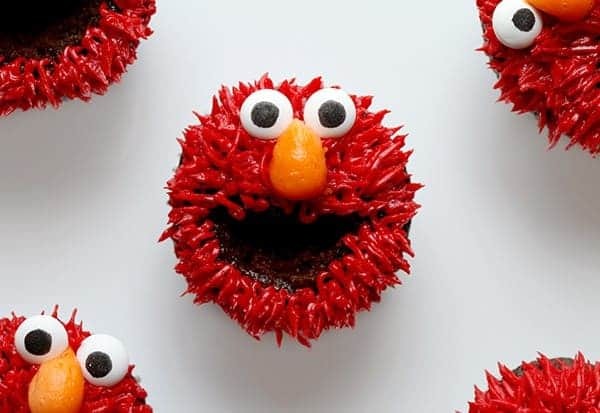 As I mentioned above, I tried to be a little more precise in how the fur “layed” – or how the frosting “layed”- as Elmo is not as messy as Oscar the Grouch or Cookie Monster. 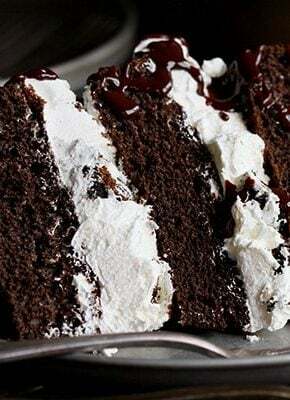 Brush some dark melted chocolate over the mouth area. 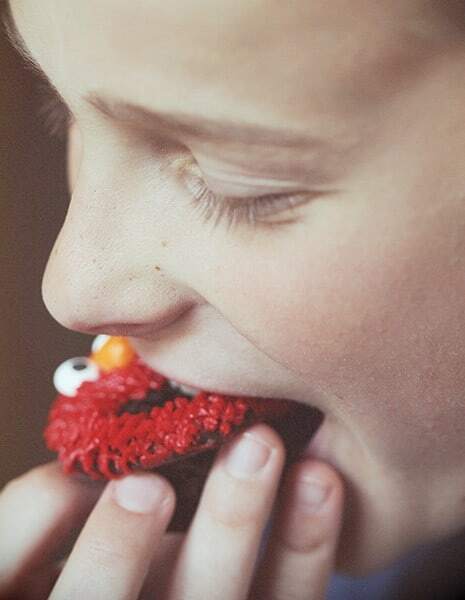 Place the mouth piece back into the cupcake with a toothpick until ready to serve. These were my kids favorite by far. Sesame Street has sure made a wonderful and lasting impression on my kids. And this was one time where I let them play with their food! 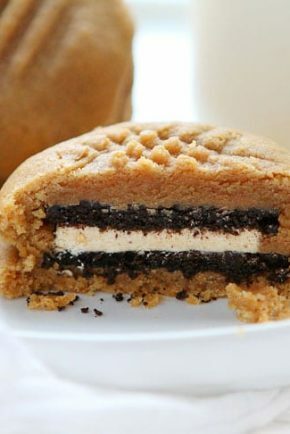 I can’t decide whether I like this one more than cookie monster. Luckily, I don’t have to. So so cute! Seriously. Just give me your skills. 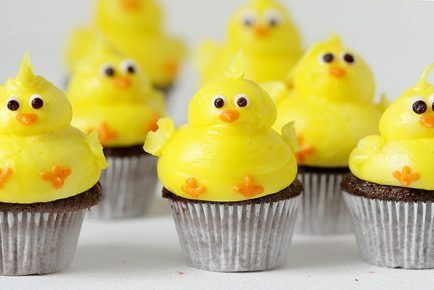 Or at least give me these adorable cupcakes! I’ll settle for that. Pinned! These are the cutest! 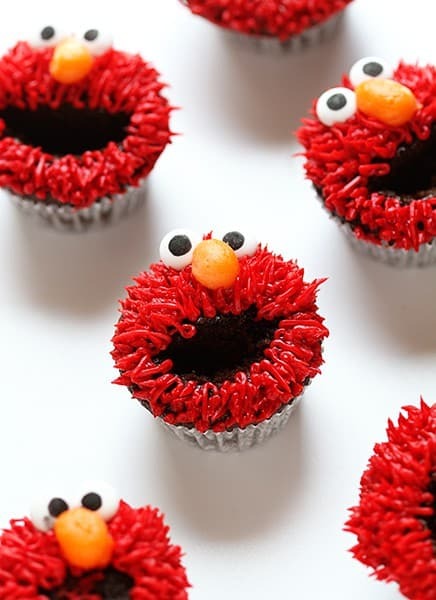 Love Elmo cupcakes! These are too cute!!! If I were to make them regular size cupcakes, would the eyes look too small? 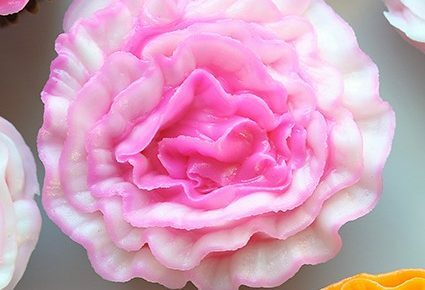 Can you please tell me what types of food coloring you use to get that vibrant red? Mine always end up looking like pastel colors!